Recently I received an awesome mix of Disney music CDs that made the entire family happy. Bubbles was thrilled with the Frozen and Disney Junior CDs, hubby immediately snagged the Guardians of the Galaxy Awesome Mix Vol. 1 (which I also love), and I was excited to get Into the Woods. Frozen The Songs and Disney Junior DJ Shuffle 2 have gotten quite a bit of playtime in the last few days, too. Bubbles loves to sing and dance, and now she’s not constantly asking me to put “her videos on the TV” from YouTube. 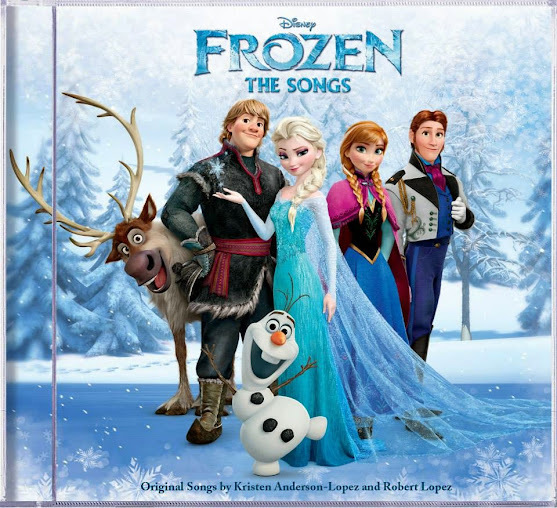 The Frozen CD has the music from the movie on it, including two versions of “Let It Go”, “Do You Want To Build a Snowman” and more. 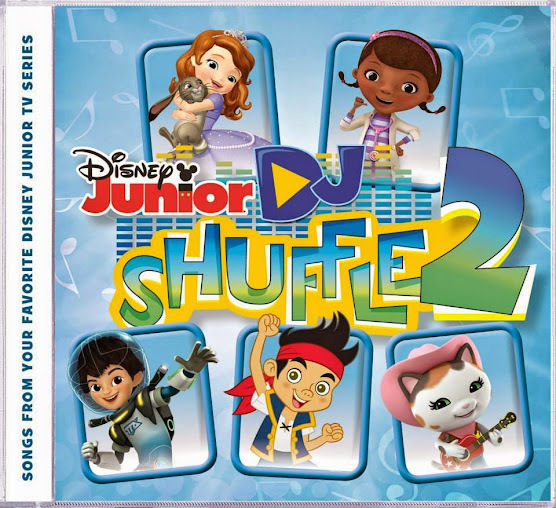 DJ Shuffle 2 has great music from your kiddos’ favorite Disney Junior shows, like Sofia the First, Jake and the Neverland Pirates, and more. 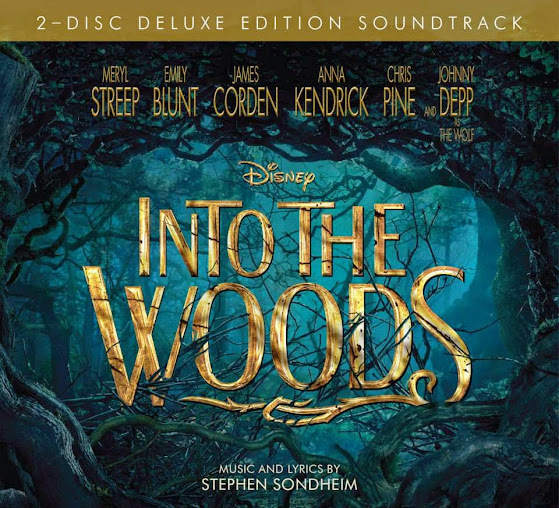 One of the best things about soundtracks to musicals, like Into the Woods, is that when you get the CD it’s almost like watching the entire movie. Which means you can whistle along to the tale of the baker and his wife no matter where you are. And whistle you will; the music is very catchy. All these Disney music CDs can be found online at the Disney Music Emporium, plus one lucky person is going to win a Hop to the Music four pack with all the CDs shown above. Giveaway closed. 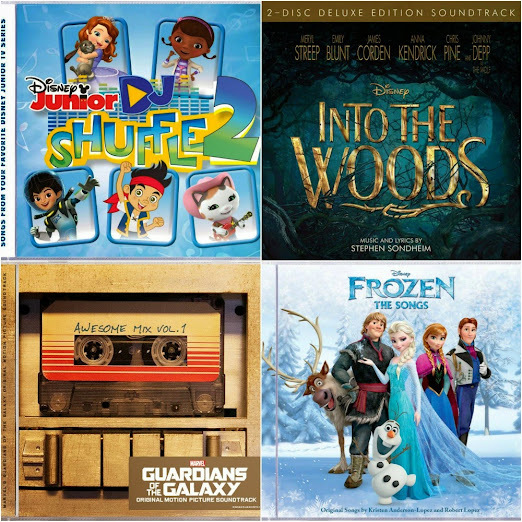 Which Disney music CD are you most excited about? I like “into the wood”. 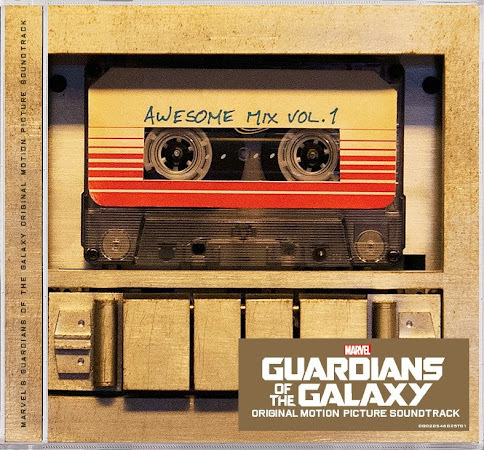 I think I am most excited to win Guardians of the Galaxy, I loved the music in that movie.